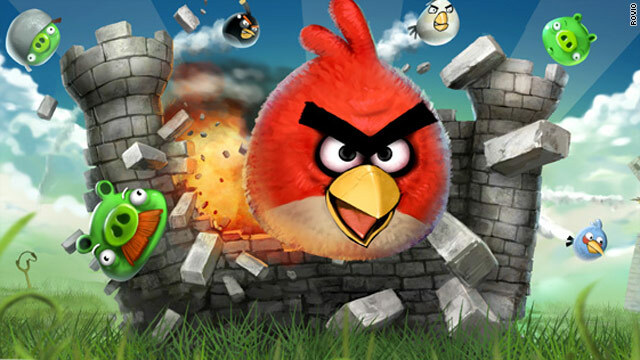 As we mentioned earlier about Angry Birds availability for Wii, PS3 and Xbox 360. Now the creator of Angry Birds "Rovio Mobile" confirmed that they are going to release the PC Version of Angry Birds. Rovio Mobile briefly showcased the PC game in action. The desktop version duplicates the game play of the mobile game, but includes high resolution graphics for the big screen. The official launch date was not announced but Rovio hints that it will be coming soon. The press release includes a few details about angry birds success story. Rovio released its first version of Angry Birds on December 11, 2009 and the game has exploded on to the scene. Since its launch, Angry Birds has moved from iOS, to Android, and a variety of other platforms including webOS, Symbian, and even the Nintendo DS. The company has confirmed that its game has been download over 50 million times across these platforms and should reach its 100 million download goal by next summer. Currently, people spend a collective 200 million minutes daily playing Angry Birds and this number is expected to balloon as the game is ported to different gaming platforms. Besides the PC and mobile phones, Angry Birds will be ported to Windows Phone, game consoles, and even the Mac OS X.